Just a quick update. First a big thank you to everyone who has purchased Issue 2. 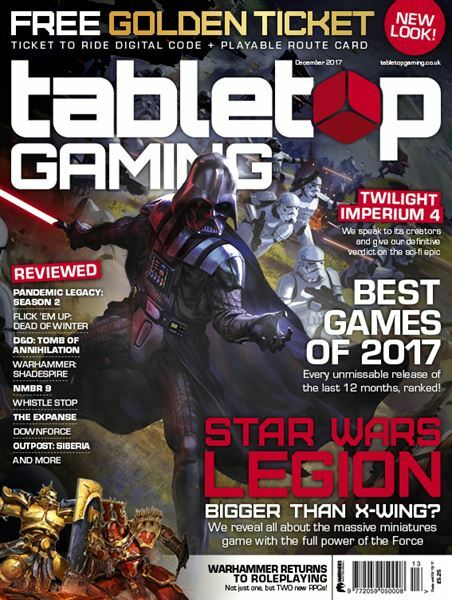 The issue spent several days at the top of RPGNow's best-sellers list, and has picked up a 'Popular Silver Pick' award. The good news is, the Print-on-Demand version is now available. 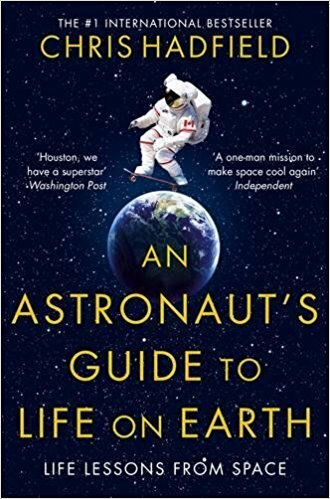 I got my proof copy in the mail yesterday, and I've got to say it looks pretty good. Okay, it's not up to the standards of traditional printing, but it is a very satisfying, perfect bound, little booklet. On the downside, our battles with Kindle continue. We think we are closing in on a solution, but I am still hesitant to give a specific date for this. Anyone been killed by a dragon yet? 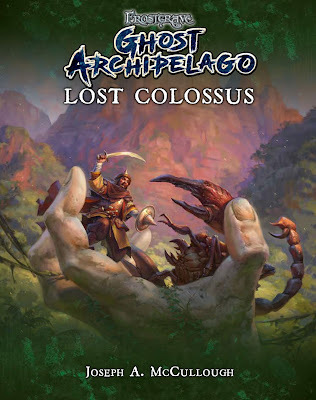 For those of you who just can't get enough Frostgrave: Ghost Archipelago (many thanks! 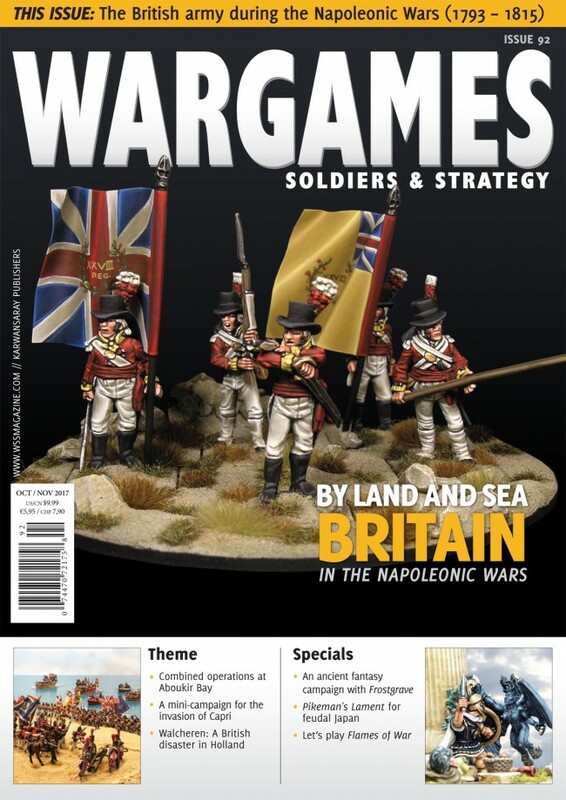 ), there is a new scenario in this months Tabletop Gaming magazine. I wrote this one as a little bit of fun. 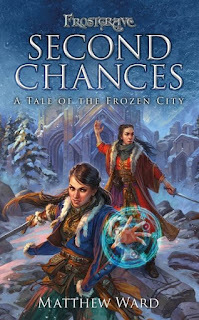 It is based on one of the best parts of, that absolute classic, The Princess Bride and features a trio of dangers to vex the Heritors and their crews! 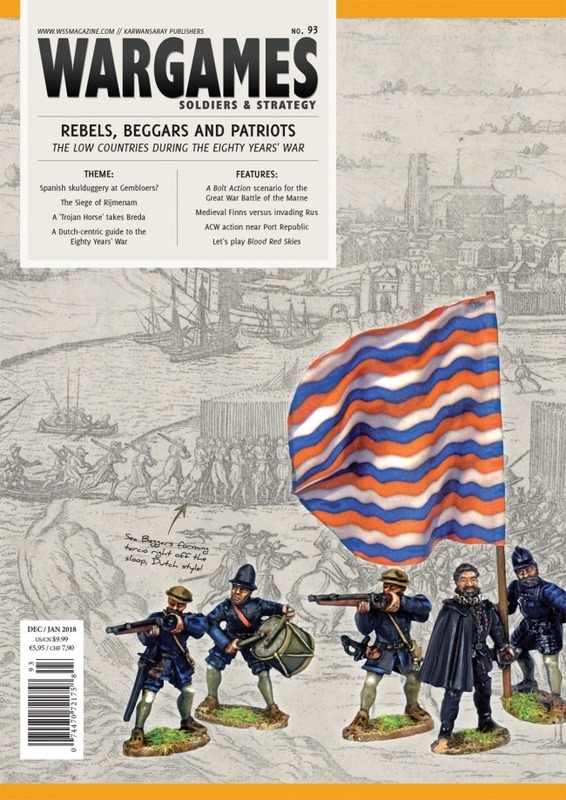 The issue is available both in print and in digital. 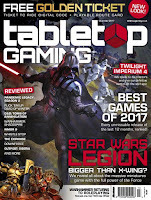 If you are into boardgames, wargames, and role-playing games, this is probably a magazine worth checking out. It covers all three and it has just announced that it is going monthly. Dragons have come to Frostgrave! 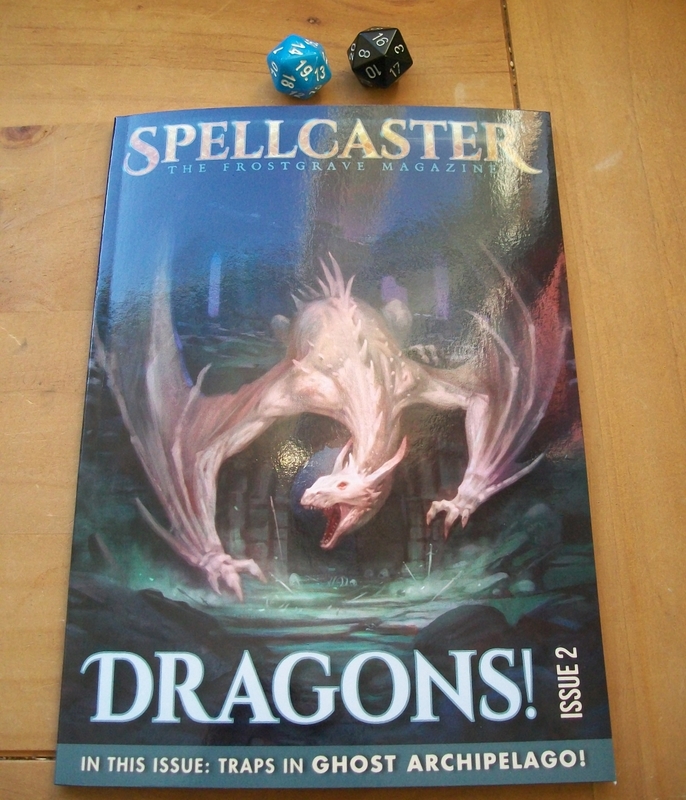 Which is my dramatic way of saying that Spellcaster: The Frostgrave Magazine, Issue 2 is now available! 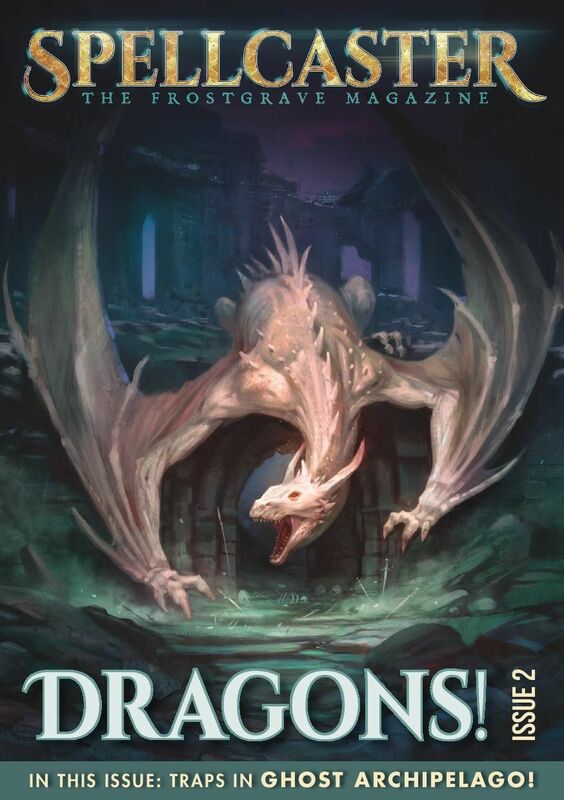 You can currently purchase it from RPGNow as a PDF for $6. A print-on-demand version is currently awaiting approval of the printed files, but it should be up any day now. The printed version will cost $9, plus shipping. The magazine will hopefully be offered on Amazon in the near future, although, at the moment, I am having some formatting issues that are delaying it. There are plans to make this issue available in all of the same languages as Issue 1. To answer a question that many people have asked, I will be looking at getting Issue 1 redesigned in the new format and also made available as print-on-demand. I don't yet have a time scale for that. Anyway, I hope everyone enjoys the new issue. Feel free to tell me what you like and don't like about it, so that I can hopefully make Issue 3 even better. One of my oldest and best friends, Barrett Stanley, is currently running a Kickstarter to try and fund the second issue of his science-fiction comic, Heartbreak Quadrant. 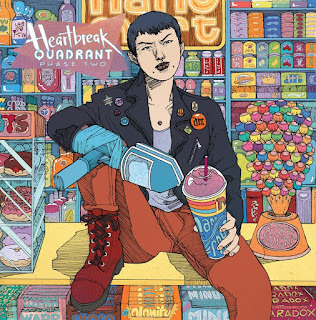 I have, of course, backed the project, because I like the comic, but mostly because I really want to help my friend fulfill his goal of becoming a full-time comic artist. And that, to me, is what Kickstarter is really all about. 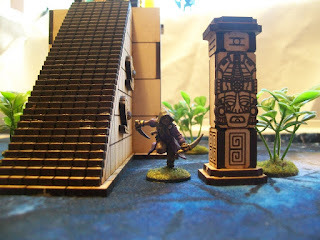 A few years ago, I backed my first Kickstarter project, Afterlife from Anvil Industries. I loved the look of their models, and once the Kickstarter had funded, it seemed like cool new models were added every day. It was exciting to watch the pledge levels go up, and I felt like I was winning prizes every time a new level was hit. Six months or so later, I received my figures. They were superb – really, I heartily recommend them, but, the truth was, I was no longer excited by them. My interest in them was six months ago. I had moved on. I learned a really important lesson from that kickstarter. I am such a wargaming butterfly that I can never predict where my interests will lie in six months (and that’s a pretty quick turn-around for a lot of kickstarters). There really is no point for me in pre-ordering. I’d much rather have the money in my pocket to order something I want and will enjoy right now. Even if this means I end up paying ‘more’, or missing out on a few exclusives, I will still get more value for my money by waiting. No, for me, Kickstarter only matters if I am truly helping to create something that otherwise will not exist. Without Kickstarter, I doubt my friend would be able to raise the money for his comic book, especially without the marketing power that comes with a Kickstarter. And, it doesn’t matter if the comic comes 3, 6, or 12 months later; I know I will be glad that I was a part of its creation. I believe that this was the original goal of Kickstarter, to be a force for creative possibility, and, I believe this is still when it is at its best. Take a look at Barrett's comic and see if it's something you'd like to be a part of making exist. 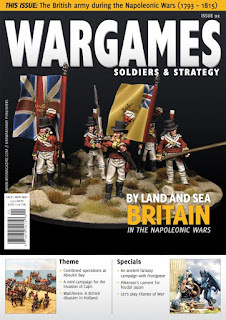 Also, keep an eye out here, as next year Barrett and I will be working together on a project that is likely to be of interest to a lot of wargaming fans. Exchanging Signatures with John Kovalic! This goes under 'Great Geek Moments'! This past weekend, I was in London for Dragonmeet, a small, but growing role-playing convention. I was helping out on the Osprey Games stand, and chatting to people about Frostgrave and Ghost Archipelago. Over the public address system, I heard that John Kavolic was signing on the upper floor. 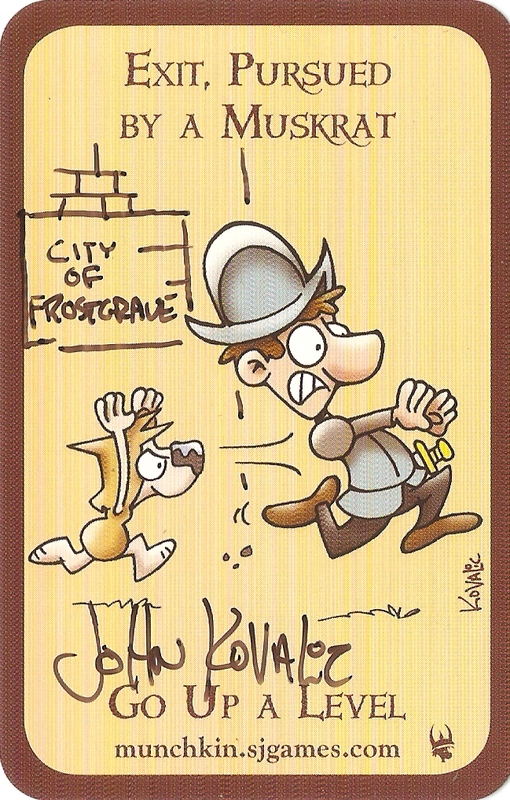 For those not in the know, John Kavolic is one of the best-known and most-popular game artist around, thanks in large part to his illustrations for the mega-best-selling Munchkin and its 937 (or thereabouts) sequels. 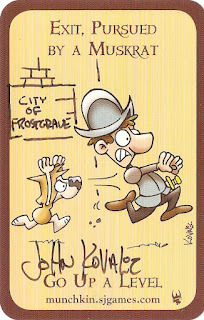 That said, for me, John will always, first and foremost, be the creator of The Dork Tower. This comic came along just when I needed it. I have a nearly complete run of the comic book, and am seriously glad that it has continued as a web-comic. A few months ago, I traded a couple of tweets with John about Frostgrave! Later in the show, I was passing by and saw there were only a couple of people left in line, waiting to get signatures from John (he had, at that point be signing for several hours). I figured I'd never have a better chance to say hello, so I jumped in line. When my turn came, I said hello and, somewhat sheepishly, introduced myself as 'Joe, the guy who wrote Frostgrave'. John immediately leaned over, took a Frostgrave wizard sheet out of his bag and said, 'Can you sign this?'. Taken aback, I protested that this is not how this whole thing was supposed to work. He was supposed to be signing something for me! Though, at that moment, I realized I had nothing for him to sign, because I hadn't really expected this encounter to happen. In the end, we made a trade. I signed his wizard sheet, and he signed a Munchkin card for me, even embellishing it with a little Frostgrave sign. I didn't want to take up much of his time, as the line had grown again behind me, and I needed to get back to the stand, but what a wonderful experience. I would later learn, via twitter, that John bought the copy of Ghost Archipelago that Osprey Games had donated to the Dragonmeet charity auction! I'd also like to take a moment and send a big Thank You to the great guys from the HATE (Hackney Area Tabletop Enthusiasts) gaming club, who spent all day running a really sharp looking Ghost Archipelago demo. I stopped by a couple of times and everyone seemed to be having a lot of fun, which is the point, after all. What a day! I managed to escape only buying one book, a personal record. I'm sure I'll talk more about that later. 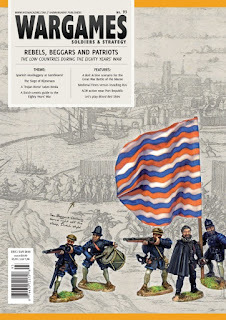 The new issues contains ‘The Floating Hulk,’ a solo scenario I wrote for Ghost Archipelago in which the Heritor and crew investigate a demasted ship floating just outside of the islands. Ironically, this scenario marks the first that I’ve written that actually involves a ship, or at least what is left of one. I really enjoyed working on this scenario, and I find it an interesting one from a design point of view. I tried to set it up, so that, if everything goes exactly right, the scenario is relatively easy, but as soon as something goes wrong there is a cascading effect. I’d love to hear from anyone who has played the scenario and hear how they got on! Last weekend, I engaged in a little Ghost Archipelago field research, along with my family, by visiting Port Lympne Reserve, which most people would call a small 'zoo', but which is more actively engaged in breeding endangered animals and releasing them back into the wild than most zoos. 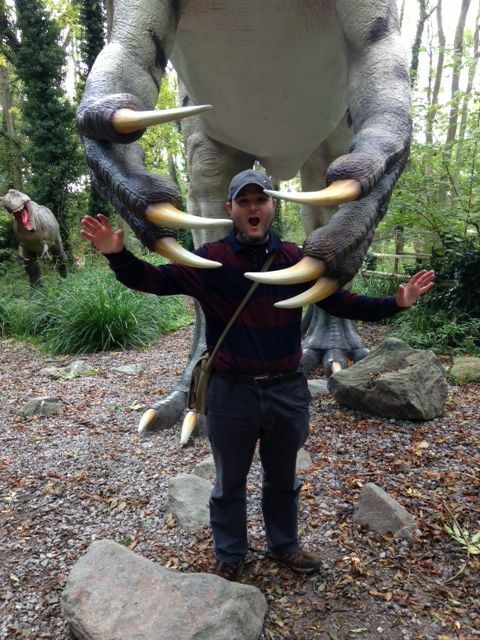 That said, the big attraction for my three-year-old daughter on this day was the Dinosaur Forest. I must admit, I had pretty low expectations going in, but was very pleasantly surprised. Yes, it is just a bunch of model dinosaurs in a forest, but, they are very well done models, there are a lot of them, and they are full scale! It's actually pretty neat to walk around looking at these gigantic beasts, and pretty inspirational when you happen to be working on a game that has dinosaurs in it. The whole place makes a nice, if not cheap, day out for the family. 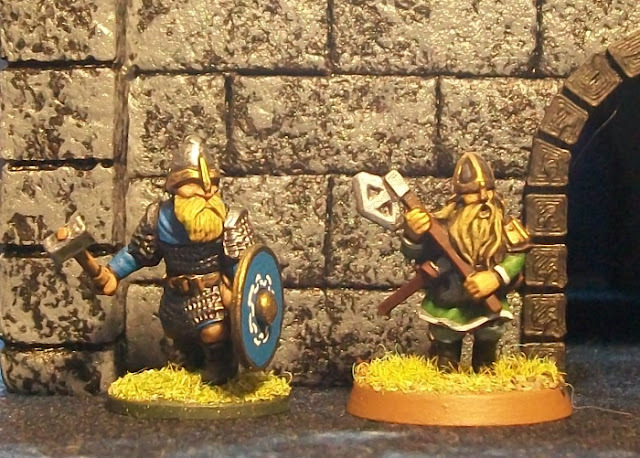 A few people have asked how the new Oathmark Dwarves compare in size to their The Lord of the Rings counterparts produced by Games Workshop. Well, luckily, I happen to have both in my collection. As you an see, there is a pretty significant size difference. In truth, it is the bulk of of the two figures that separates them the most. The Lord of the Rings figures have always been more slight, more 'true scale' than most miniatures on the market. Personally, I wouldn't use them together. 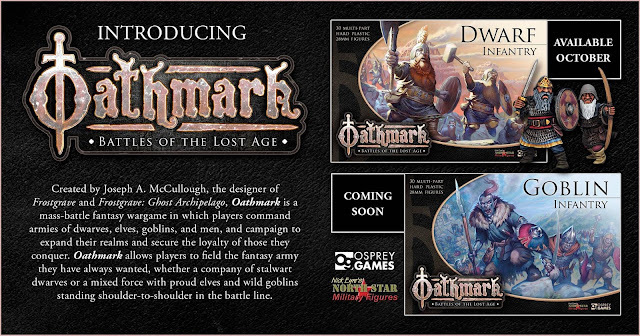 In truth, the Oathmark dwarves fit better with the other plastics produced by Osprey Games/North Star and with those produced by companies such as Gripping Beast. 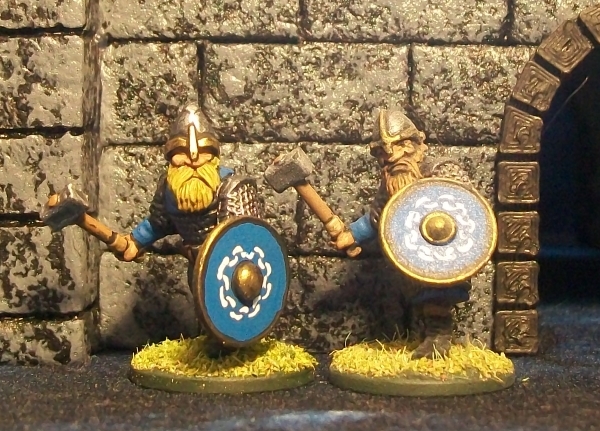 A few shots of the dwarves with Frostgrave Barbarians can be found elsewhere on the net. In more important news, I painted a second dwarf! My unit is growing! 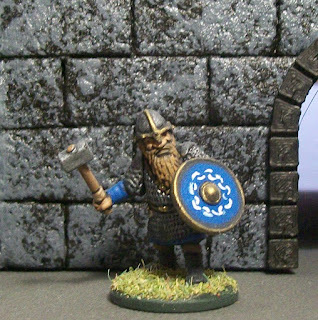 In celebration of the announcement of Oathmark, I thought I would show off one of my first painted Oathmark miniatures. 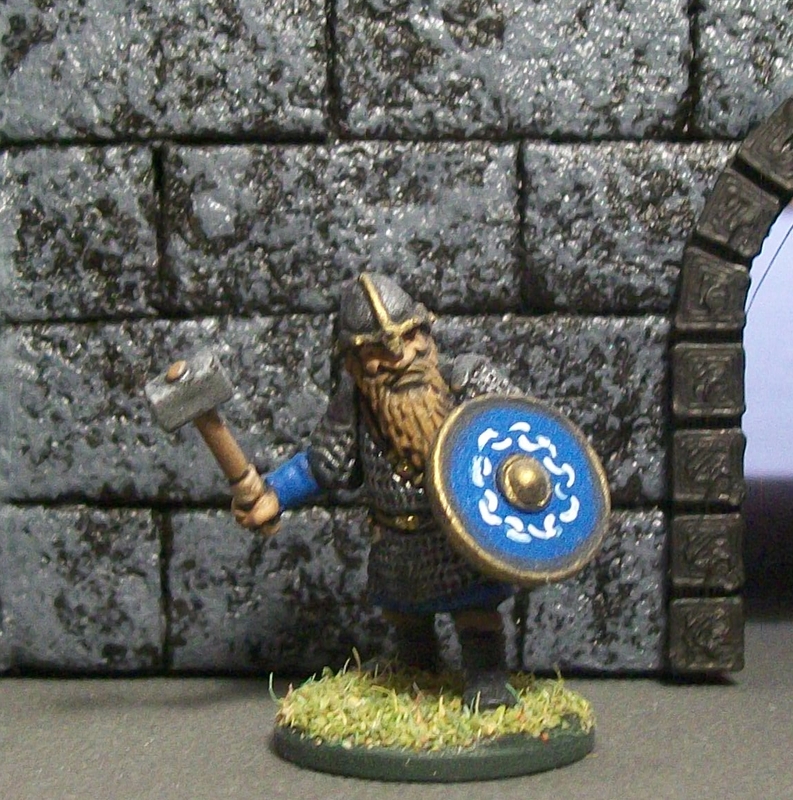 Here is the doughty warrior, dressed in his chain mail, with his trusty hammer and shield. I didn't spend too long painting this guy as he's just one of a unit, and I am more concerned with the over all effect of the unit, than I am with this particular figure. Also, I used him to test out the shield design that I hope to use as the unifying symbol of the 'Blue Army'. It's just a simple circle of wiggles, but at a distance gives the impression of a kind of Celtic tangle. I think it'll look good multiplied across a unit and an army. This figure is actually a very slight conversion. The shield arms in on the sprue are designed for the shield to be held high in a more shield-wall look. I wanted a bit more of an open-form look, so I took one of the bow arms, snipped off the bow, and used it for the shield arm, which seems to work really well. 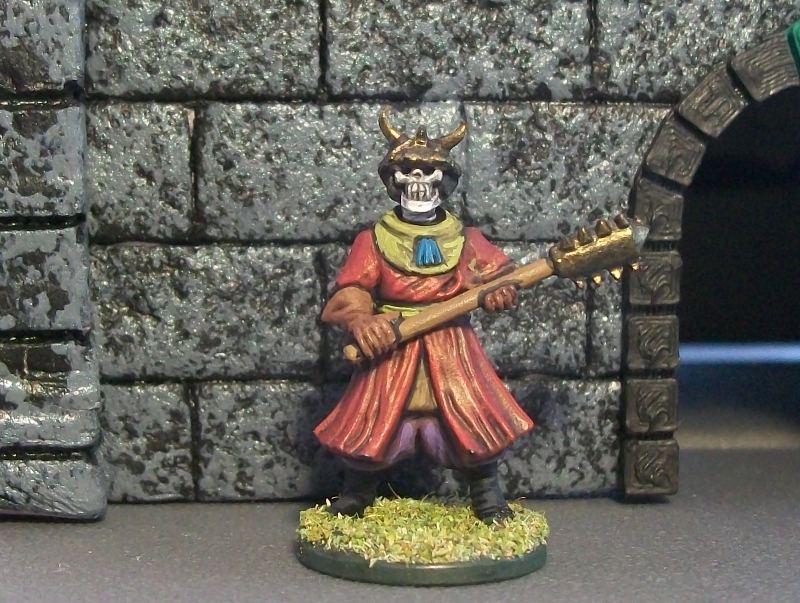 I've mounted this guy on a 20mm round base, even though Oathmark uses 25mm square bases. Why? Because I'm a rebel who doesn't by the rules, even when I'm writing the rules! Actually, it's because I've got some nice movement trays for these to slot into that should work perfectly. It’s true, I am currently designing a mass-battle fantasy game as part of my job for Osprey Games. I don’t want to talk too much about it at present, because it is still in the early stages of development. It is still going to be a long time before a set of rules hits the market, and many elements can, and probably will, change from now until then. That said, for the curious, I can make a few statements about which I am 'mostly' confident. Oathmark is a ‘rank and file’ game, meaning that most figures will be organized into units that will fight in blocks. 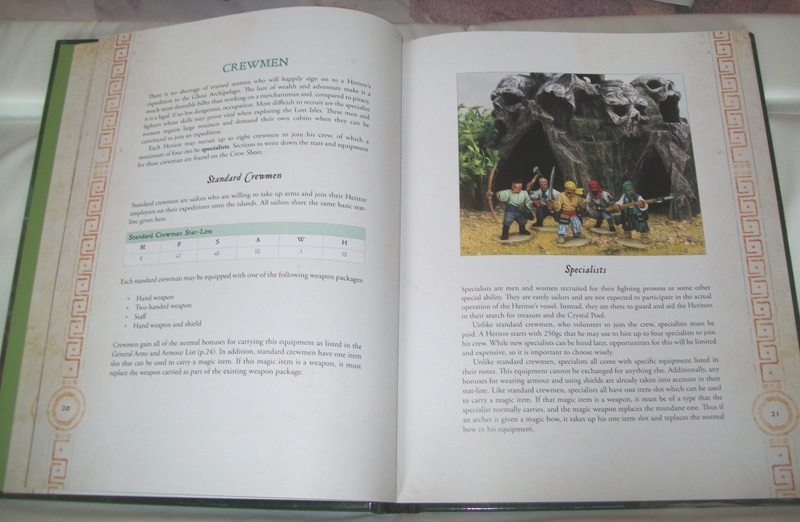 However, the basic element of the game is the figure. Each figure has its own stats, and casualties are removed individually. 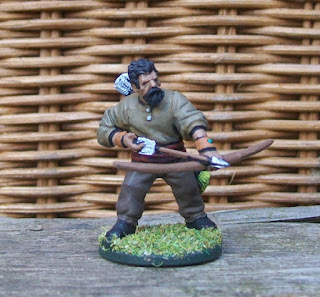 The standard base for most ‘human-ish’ sized figures is 25mm square, so figures mounted on round 25mm, or smaller, bases will be usable with movement trays. The game features a bunch of different races – four main ones to start – each of which have unique stats. There will be a full campaign system, which involves building your kingdom as well as your army. (Assuming I can get all of it to work!). 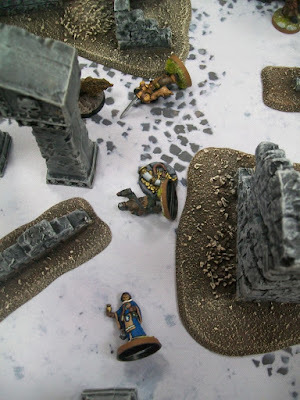 This game has no connection to Frostgrave other than sharing a few deep routed philosophies about what I believe makes a fun fantasy wargame. (Plus most of the plastic kits for the two games will be compatible!). I’ll talk more about the game as I go along, but it will be a slow process. For now, enjoy the plastic minis that are coming soon! 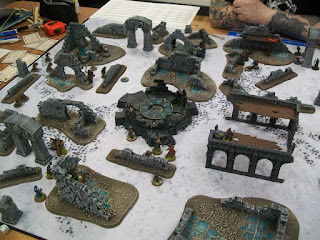 As we draw near the release of Frostgrave: GhostArchipelago, a lot of people have been asking me what kind of terrain they are going to need for the game. In truth, just about any terrain will do. The Ghost Archipelago includes hundreds of islands, including ones covered in jungle, swamps, mountains, ruins, you name it! That said, if you are looking for some ‘off the shelf’ pieces to get you started, you might consider checking out Things from the Basement. They are a US-based, laser-cut MDF company that is currently producing a line of ‘Inspire by Ghost Archipelago Terrain’. They already have one for Frostgrave. They were kind enough to send me a couple of samples of the new range, and I’ve just had a chance to put some together. The large piece is The Temple. I must admit, when I first pulled this out of the package, I was a little intimidated – each level of stairs is a separate piece,and I’m not a great modeller. However, the whole thing went together quite easily and, using nothing but a modelling knife, woodglue, and a q-tip, I had it done in 30 minutes or so. There is just room enough at the top for 2 or 3 models to fight it out, and even some cover for an archer to take up a good sniper position. I also put together a couple of columns. These went together in minutes, and are delightful little pieces. 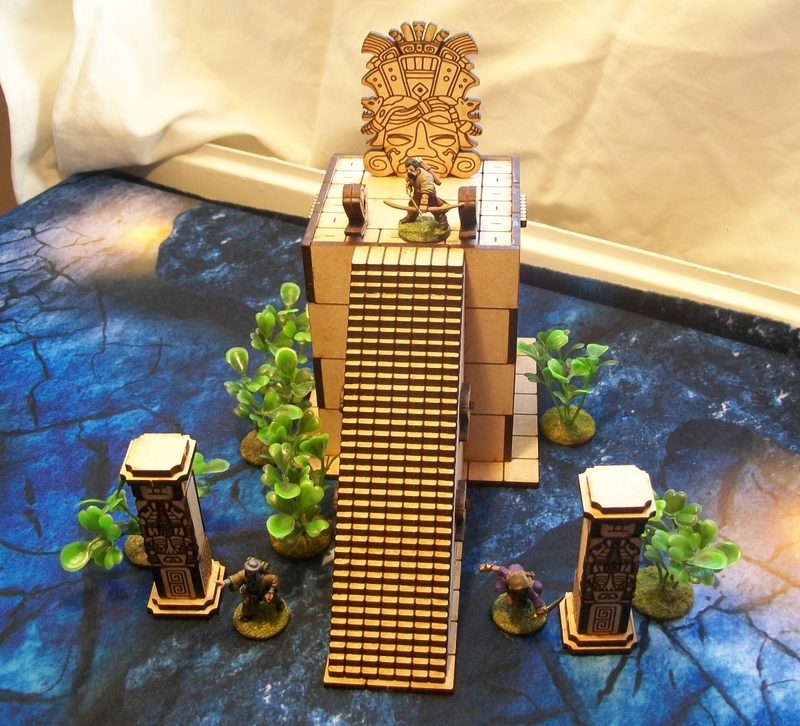 They work perfectly in conjunction with the temple, but would also work independently as scatter terrain on any table. 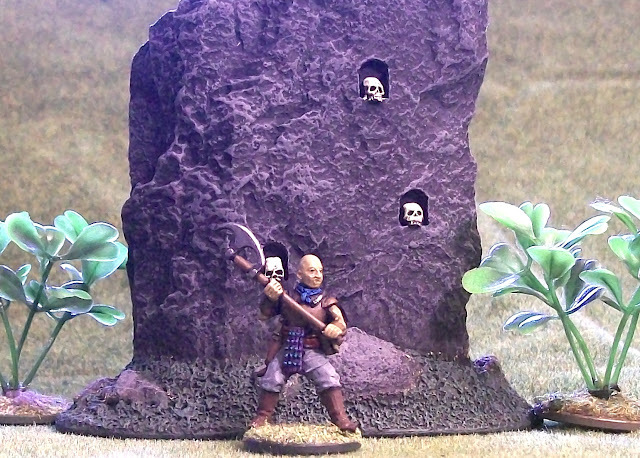 Columns and/or standing stones are likely to feature in a lot of Ghost Archipelago scenarios, so I would suggest getting 6 of them if you are ordering. My only issue is how do I paint them? In truth, I kind of like the sort of sand-stone look they’ve already got, I’d just like them to look a bit more worn. I’m thinking some kind of wash, but worried that a brown wash might make them look more like the wood they actually are, while a black wash would just muddy them. Any thoughts and suggestions on this would be welcome in the comments section! All-and-all, I’m extremely pleased with these pieces. I’ve also got the ‘Sacrificial Altar’, but I haven’t put that together yet. Look for it in a future post. I suspect these pieces are going to be involved in several battles in the not too distant future. A quick note about reviews – while these piece were sent to me specifically to review, I will never review anything that I don’t actually like. I’ll send it back instead. So, while this is just one man’s opinion, I hope you can consider it an honest one. In this case - Highly Recommended! This past weekend, I met up with Dan and Dan at Chaos Cards in Folkestone for a round of Frostgrave. Chaos Cards is a lovely store – bright and spacious, lots of gaming tables, and snack machines! It costs £2 per person to use one of their tables for the day. Dan 1 brought all of the scenery for the game, most of it hand made. As you can see we had a table that was properly crowded with ruins. Dan 2 bought a serious bestiary in case we had some random encounters. 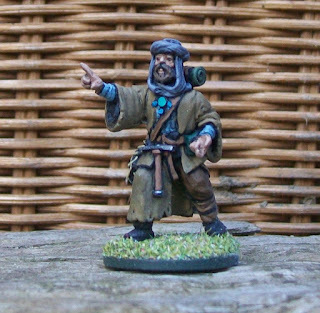 This was the first ‘for fun’ game of Frostgrave I have played since GenCon, so I brought back Orderic the Enchanter from that game. He was now level 1 and showing off his flashy ring of teleportation. Along with his apprentice, Pavia, he had a full crew featuring a barbarian, man-at-arms, infantryman, 2 archers, a scout, 2 thugs and a thief. Dan 1, who started off to my left had a gnoll elementalist, while Dan 2, to my front, had a necromancer. We decided to play ‘The Stars are Wrong’ from The Frostgrave Folio. In that scenario, there are six pylons that occasionally fire a bolt of eldritch energy between two randomly selected ones. I got the jump on my rivals and went first. My warband advanced, with Orderic successfully casting Telekinesis to move a treasure into easy grabbing distance. Unfortunately, I was less than careful about my position. Moments later, a certain gnoll Elementalist lobbed an Elemental Ball onto my scout. He was fine, but Orderic, who was standing next to him was critical hit and exploded. (I have a history of having my wizards critical hitted early in games). Thankfully I still had my apprentice, Pavia. She advanced and also cast Telekinesis…well, she tried to. She failed by four. Figuring my chances for treasure might be limited without my wizard, I decided to take the four points of damage to get the spell off (this would prove significant). The treasure floated closer, and my thug grabbed it. The rest of the turn saw my enemies advance. One arrow nicked one of my archers doing 1 point of damage. Another cut my Barbarian for 2 points (this would also prove significant). Just as the second turn got underway, a bolt of energy fired between two random pylons. I stared in horror, realizing that the bolt was going to cut straight through my apprentice, the thug with the treasure, and the Barbarian. Still, it was only a +3 shooting attack. As it turned out, Pavia took 6 points of damage (all the she had left) and died. The thug took 12 points of damage and died. The Barbarian also took 12 points of damage (all he had left) and died. So, before turn two properly got underway, I had lost 40% of my warband, including my wizard and apprentice. I was able to laugh; my opponents were trying hard not to. As bad as the game started, I ended up doing okay. Both of the treasures that I had Telekinesed were easy enough for my remaining soldiers to scoop up and run with. I even managed to grab a third, partially in thanks to a wandering zombie who provided cover. I also got a bit of revenge, when my Infantryman took out the gnoll apprentice (in fact, by the end of the game, every spellcaster had violently left the table). The news after the game wasn’t so great either. All of my warband was fine, except Pavia, who didn’t make it. Anyway, despite the somewhat random destruction of a third of my warband, it was great fun. In fact, if you can’t laugh at something like that, Frostgrave probably isn’t the game for you. We are already talking about when to have our next match up, and seeing if we can recruit a few more players. So, if you are in the Folkestone area, drop me a line. A Ranger grabs the Treasure! I am happy to report that even in my temporary accommodation, I am managing to get a little painting done. 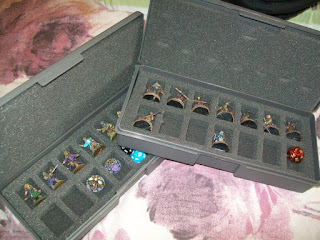 Before we moved, I cleaned, assembled, and primed a bunch of miniatures, so I would have some ready to go. Here are the first couple! I'm really pleased with the ranger. 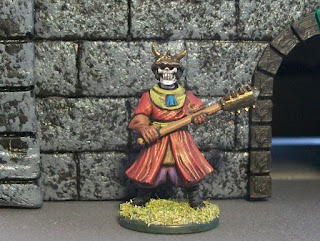 He is actually a mash-up of Frostgrave plastic parts. The body comes from the cultist box, the arms from the soldiers box, and the head from the barbarian box. I'm not sure, but I think the quiver comes from the gnoll box. That was not deliberate, but it does mean I managed to use every box on one figure! What I really like about this figure is that it shows off how versatile the cultist bodies are - a green paint job and it becomes a perfect ranger outfit. The little treasure token comes from the Russian company Tiny Furniture - as did the back of coins token seen in my Ghost Archipelago demo shots. These are resin pieces and I can honestly say they are of the highest quality. Really enjoyable to paint. I've got a few other pieces that I will hopefully be able to show off in the future. Originally this post was going to be entitled ‘Home’, but, in truth, I don’t feel like I have a permanent home at the moment. We have sold our house in Oxford (all done and dusted, yeah! ), but are still waiting to exchange on our new house. Indications are that it could be awhile. Still, things could be much worse. We have temporarily moved in with my in-laws. They have a large house, so the kids have one bedroom and us adults have another. Our room is big enough that I can put a desk by the window to work. From the window I can actually see a tiny glimpse of the English Channel, and, amusingly, the house we are trying to buy. Still, even if this isn’t ‘home’ exactly, I’m glad to be back. Not that I didn’t absolutely love GenCon! It was a fantastic show. I got to meet all kinds of interesting people; spoke to a lot of fans about Frostgrave and Ghost Archipelago; ran some demos, and even got a little time to wander around and have a look at some other parts of the show. It’s definitely a place I could go and game and have fun for 4 days! One of the highlights of the show was playing a game of Frostgrave with Jim from the GeekDad blog and two of his friends who had never played the game before. (In fact, I’m not sure they had ever played a wargame before). 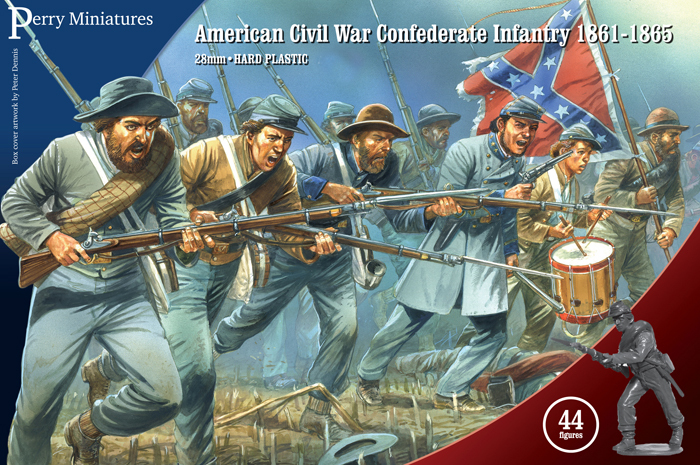 It was a terrific game with lots of drama, on some fantastic terrain, but I’ll hold off saying too much about it until after Jim has put up his battle report. 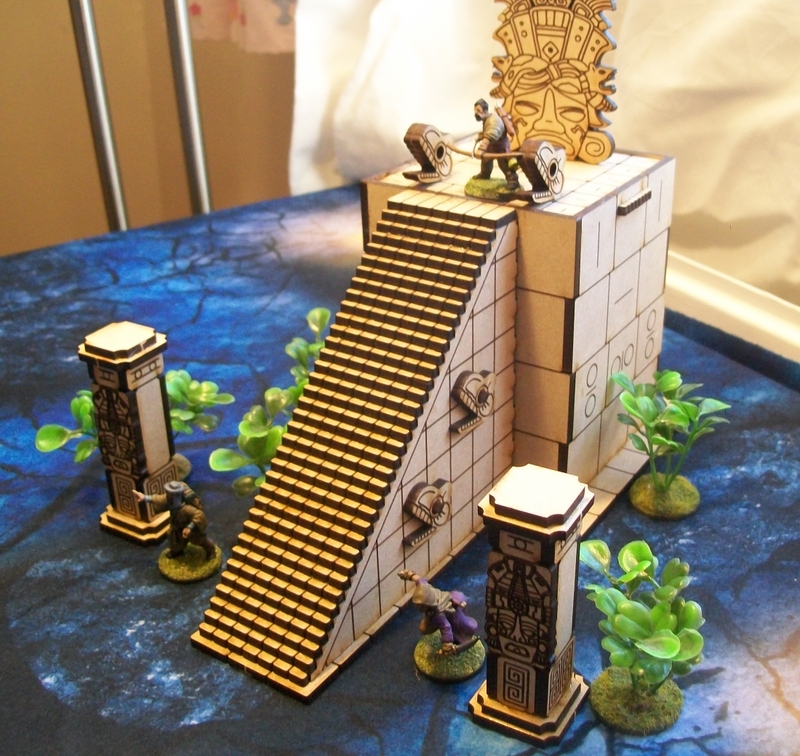 The really cool part was that Jim gave me the mausoleum he had built for the game as a keepsake. Not only is it a great piece of terrain, but it’s got some little green lights in it to give it that extra ‘spook’ factor! Jim actually did a video on building it which you can watch here. I also managed to do a little bit of shopping, although I was very constrained by my small luggage. 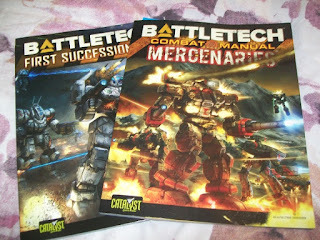 I picked up a couple of the new BattleTech books. They are mostly fluff books, which is perfect for me since I play about one game a decade. I find the BattleTech line difficult to keep up with as news is often hard to come by – also the books can be hard to obtain the UK, so I figured I’d better grab them while I had the chance. In their display cabinet they were showing off some of the new plastic mechs that will be part of the new starter kit coming out…someday. Traditionally, I have not been a huge fan of their mech designs, but these new ones look great, and I’ll be picking up the new box if I can. My other purchase was a pair of small figures cases from Chessex. At $12.95 each these hard plastic cases are a real steal. 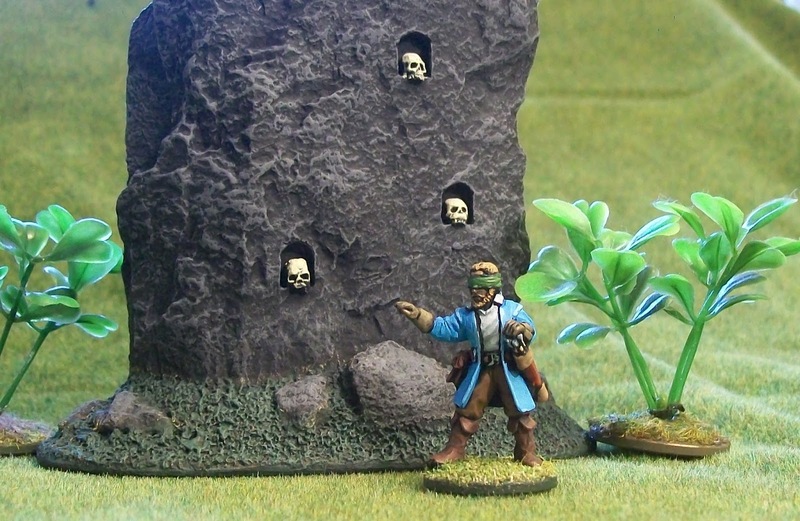 Fourteen pockets make them ideal for carrying a Frostgrave or Ghost Archipelago warband with a couple extra spaces for treasure tokens and dice. 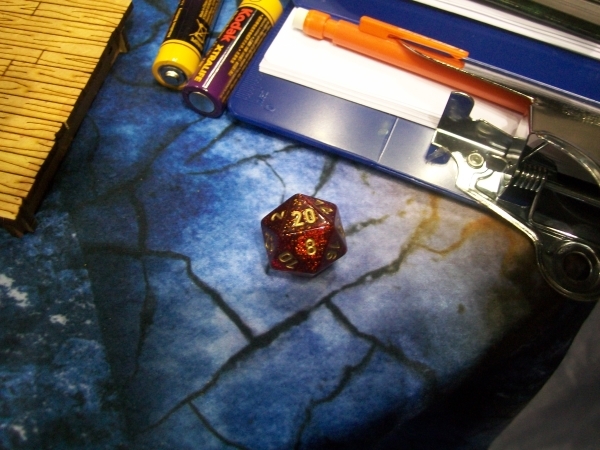 Oh, I also bought a new d20 which caused some real damage in the Frostgrave game! Well, now back to work. Actually, I suppose GenCon was work, but it was so much fun, it didn’t really feel like it. The first two days of GenCon have been wonderful and intense. I am, unfortunately, suffering from the double blows of jet-lag and a cold, and my voice is dropping in and out, but it's been wonderful none-the-less. Thanks to everyone who has come by the stand to talk to me about Frostgrave or have a look at Ghost Archipelago. It's a great opportunity for me to be able to talk face-to-face with fans of the game and to hear what they like and don't like about it. In fact, many of the little tweaks to the system that are found in Ghost Archipelago come from the feedback I've gotten at conventions and online. In bad news, the Ghost Archipelago has claimed its first victim. At some point during the day, the sample copy of the rulebook fell over and crushed Portock, snapping off his axe head. This is the major downside to using resin sample casts as opposed to the metals that are coming! Bar very delicate drilling, I don't actually know how to fix this, and I probably won't bother. In other news, I have a Frostgrave show-down tonight with one of the bloggers from Geek Dad and a couple of his friends. I thought the occasion called for a new d20. I saw this red-sparkly one on the Chessex stand and couldn't resist. It just looks like the kind of die you should make spell rolls with. Now, I know what you are probably thinking: 'hey, he's the writer of the game, he doesn't need the advantage of a new die, one that still has its full compliment of luck'. Maybe, but my track record for convention games is rather poor - plus, I just realized that I left my warhound at home, so I'll be going in a man (dog) down! I'll let you know how the game goes. There are rumours of pizza being involved, so even if it goes poorly, I suspect the night will be a win! 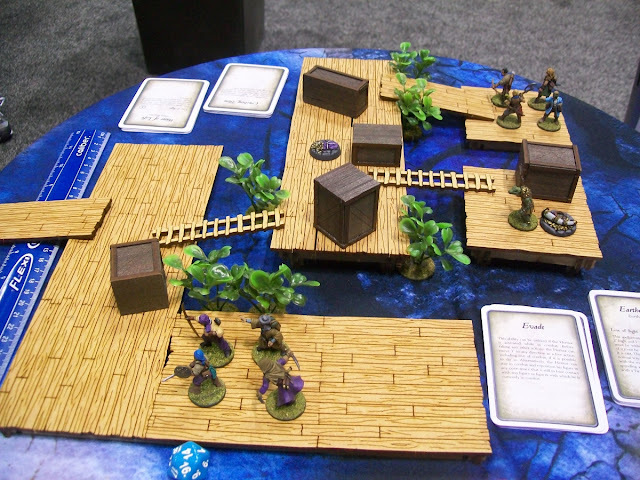 I wanted to share a shot of the complete Ghost Archipelago demo that I am running at GenCon. Not a bad set-up for the small table available. 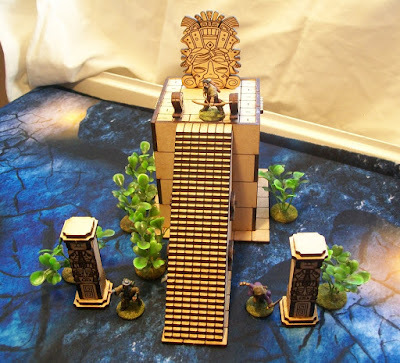 The really cool wooden platform terrain is from Death Ray Designs (although I can't find it on their website at the moment). The set includes some much bigger pieces that I didn't have room for, and you can set each platform at one of three different heights. The mat underneath is from Cigar Box Battles. It's actually a mat they made specifically for some Frostgrave scenarios set underground, but it actually works well as a watery base. The first day went poorly for Vasha. I can't say I'm hugely surprised; he's the more subtle, and thus harder to play, Heritor, especially in a demo. That said, people seem a bit shy about having him throw knives, which is something he's really good at! He make my favourite move of the day when he leapt up onto a box and kicked the Wind Warden into the water! All-and-all, it has gone well today. Thanks to everyone who has come by to take a look at Ghost Archipelago or just talk about Frostgrave. It's always good to hear that people are enjoying the game. I've only seem a bit of the rest of the convention. After waking up at 2:30 this morning (thanks, jet-lag) and then spending ten hours in the dealer hall, I am completely shot. Which is too bad, if I wanted to, I could go see They Might Be Giants, who are playing at GenCon, and still have plenty of time to make it back for the Pathfinder games that are starting at 2am! 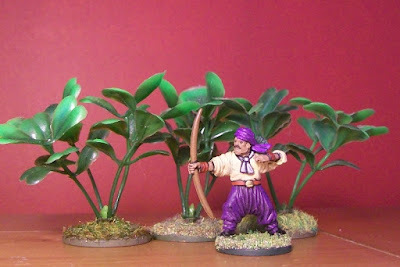 Providing the Heritor, Vasha Tune, with covering fire is Trocket the Archer, constructed from the Ghost Archipelago plastic Crew set that will be released at the same time as the game. 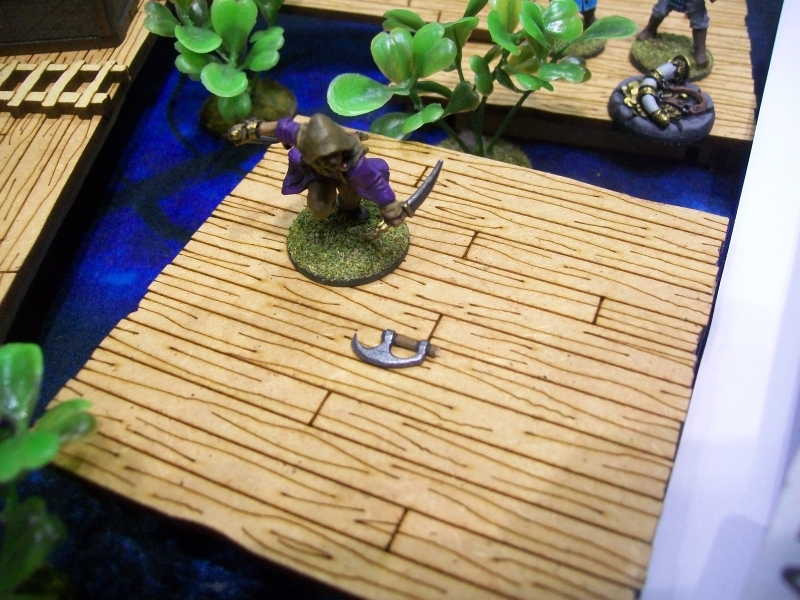 Since I’m using such small warbands for the demo, I suspect he’ll also be used to pick up treasure tokens. Ghost Archipelago has a slightly different (and I think better) set-up with regards to treasure tokens. In Ghost Archipelago, one treasure token is placed in the centre of the table. This is known as the 'central treasure' (original, I know) and it grants bonuses to treasure rolls. Each player then places two additional tokens. Unlike Frostgrave, where there are generally three tokens per player, which has a tendency to create ‘ties’, Ghost Archipelago will always have an uneven number, including one that is better than the rest. This tends to make the games more competitive and gives players more reason to really fight it out. This is a change that I will probably implement in Frostgrave when the chance presents itself. Also, unlike Frostgrave, when the game ends, the remaining player does not necessarily recover unclaimed treasure tokens. The other difference with treasure tokens is they just aren’t as lucrative as in Frostgrave. The Ghost Archipelago is filled with treasure, but not to the extent of the Frozen City. Players are going to have to work a little harder to build their treasuries and grow their warbands (although this is somewhat offset by free standard crewman). I await feedback on both of these changes! Water plays a large role in Ghost Archipelago and is chiefly encountered through two rules, swimming and small boats. Swimming comes into play any time a figure activates while in deep water. That figure must immediately make a Will Roll, with penalties for wearing armour or carrying shields or treasure. If the role is failed, the figure receives no actions and will take drowning damage. Otherwise, he can activate as normal, swimming around and fighting with penalties. Of course, if the figure is somehow amphibious, it does not need to make the roll nor does it suffers any penalties. Now, most Ghost Archipelago scenarios are set completely on land, but there are a few that involve deep water. 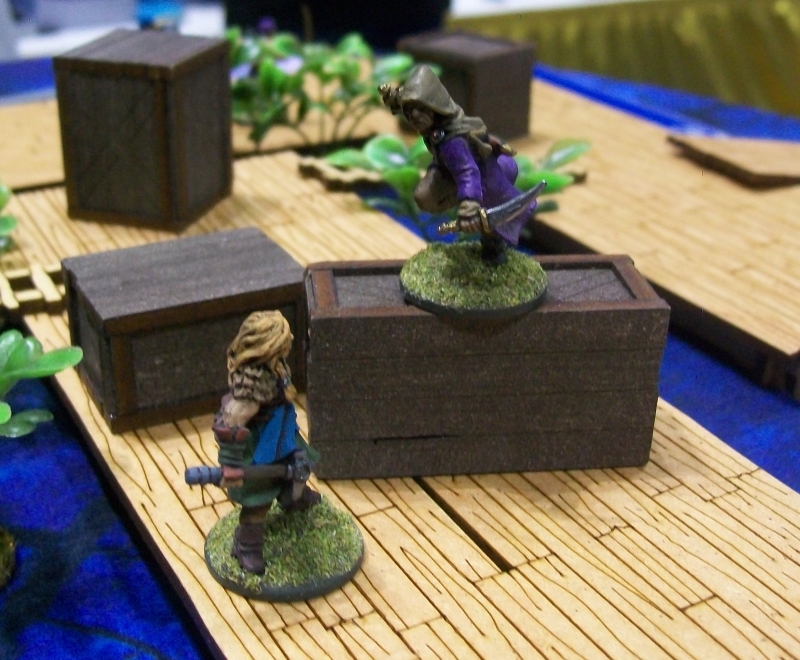 In these scenarios, the players are often given the option of putting their figures into small boats. These boats can generally hold up to 6 figures, and have their own rules for movement and fighting. So, while larger ships are handled in the abstract, these smaller boats are on the table in the fights! None of these rules are revolutionary or overly complex, but I think they go a long way to help giving the game some of its feel and to separate it from Frostgrave. 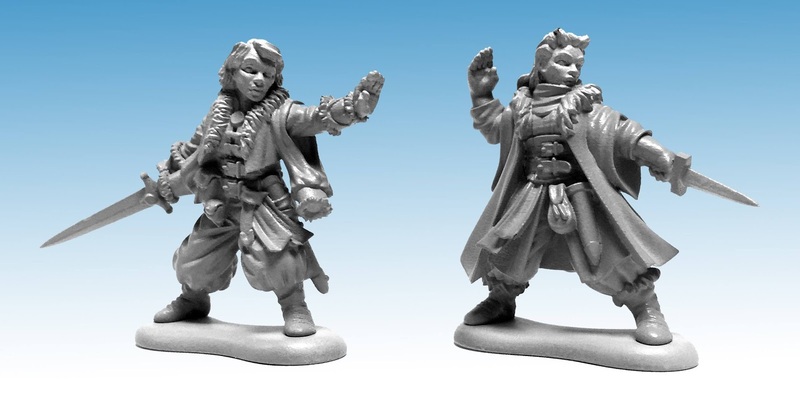 I suspect that this will be one of the most popular figures in the Ghost Archipelago line. Meet Vasha Tune, the second Heritor who will be battling it out in my GenCon demo. Unlike his opposition who was an unsubtle combat monster, Vasha specializes in fighting on his own terms. For his stat advance, I gave him +1 Move. As Frostgrave players will know, that extra move can make a big difference. For his Heritor Abilities, I gave him Burning Eyes, which will help keep away the minor threats, and Evade to get him out of any fights he'd rather not be in. He also has Shadowfold, so he's difficult to shoot at. Finally, he has Leap, so he can get around even quicker, and Deadeye, which makes him scary when throwing knives. He would likely lose a straight up fight against Big Red, but she has to catch him first - and dodge a bunch of incoming knives! 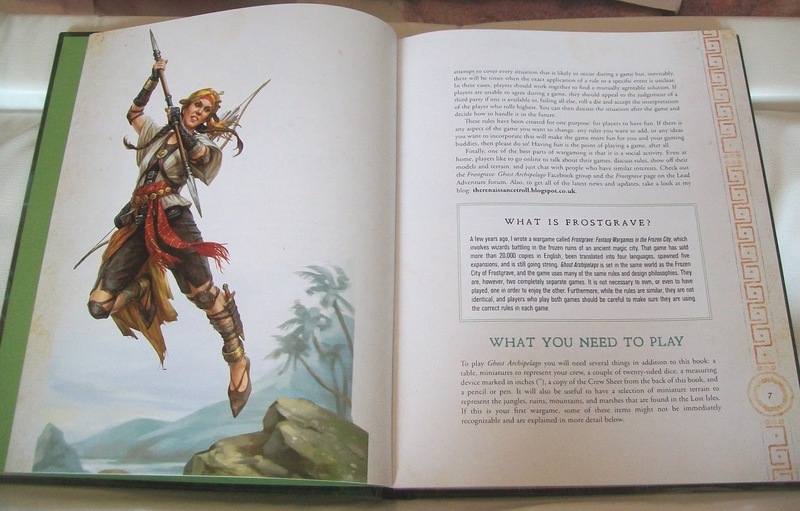 In the rulebook, there are thirty different Heritor Abilities to choose from. I have also made a table for those really 'old school' players who want to roll for random Abilities. This lead me to a problem - do you know how difficult it is to create a table with 30 equally probable outcomes using nothing but a 20-sided die. Go on, try it! In the end, I cheated slightly, and some Abilities have a slightly higher probability than others, but there you go. The irony is that while I was working on this, my friend gave me a pack of 'unusual dice' that actually includes a 30-sider. I was sorely tempted to put the table in there using the d30, just so we would all have an excuse to have one! Here is the last member of Collandra's little band. In the demo, I'll only be using four figures a side for the sake of brevity. Full Ghost Archipelago crews will be 10 figures, and since standard crewmen are free, there really isn't much reason for a player to ever have less than that, unless dictated by a scenario. Sorry about the poor photo quality. 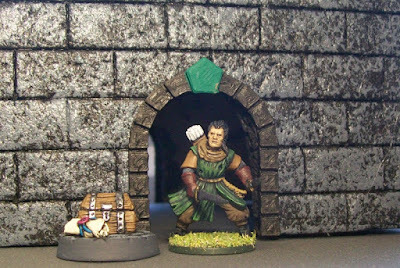 I just finished painting this guy, and most of my equipment, scenery, and what not are packed up for the move. He seems to have come out a much darker purple than he actually is! In Ghost Archipelago, shooting works pretty much the same as it does in Frostgrave. In fact, there are only two, minor, difference and neither relates to the actual mechanics of shooting. The first is that 'quivers' are now items. So, an archer must have a bow and a quiver to shoot. This makes no difference at all to the crew, but for characters like Heritors, it means they have to devote 2 item slots to having a bow or crossbow. This is a balancing mechanism, to make shooting more 'expensive'. 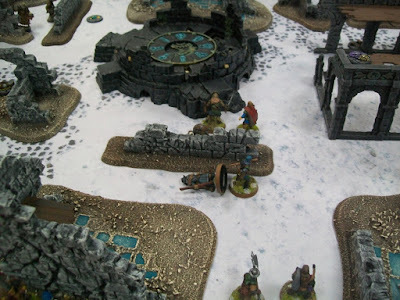 It didn't matter much in Frostgrave, where magic was the main thrust, but it matters a lot in a game focusing on warriors. The second, related, difference is that I have included 'throwing knives' as a weapon. This is essentially a one-shot ranged attack, that can also be used as desperation back-up weapon. I honestly don't know how important an addition to the game that is, but it is fun and cool so I wanted it in there! Next time, we'll take a look at the opposition! 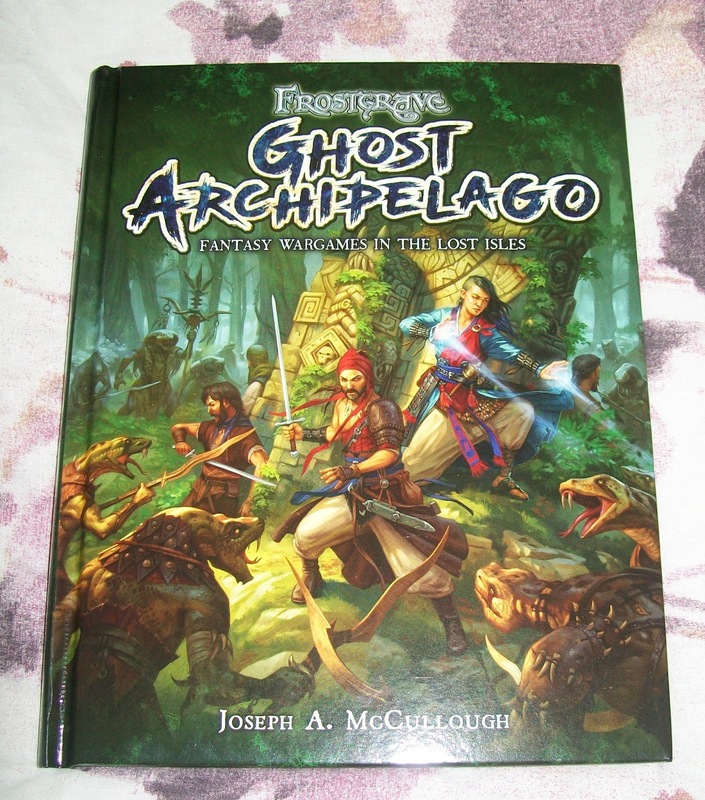 Frostgrave: Ghost Archipelago - It exists! I am interrupting today's scheduled blog to show off this, that just arrived by post! And now I can throw away the huge print out that I have been using as a reference! The next to join Collandra’s band of adventures is Verith, the Wind Warden. How cool a figure is he? A blind archer with no bow! 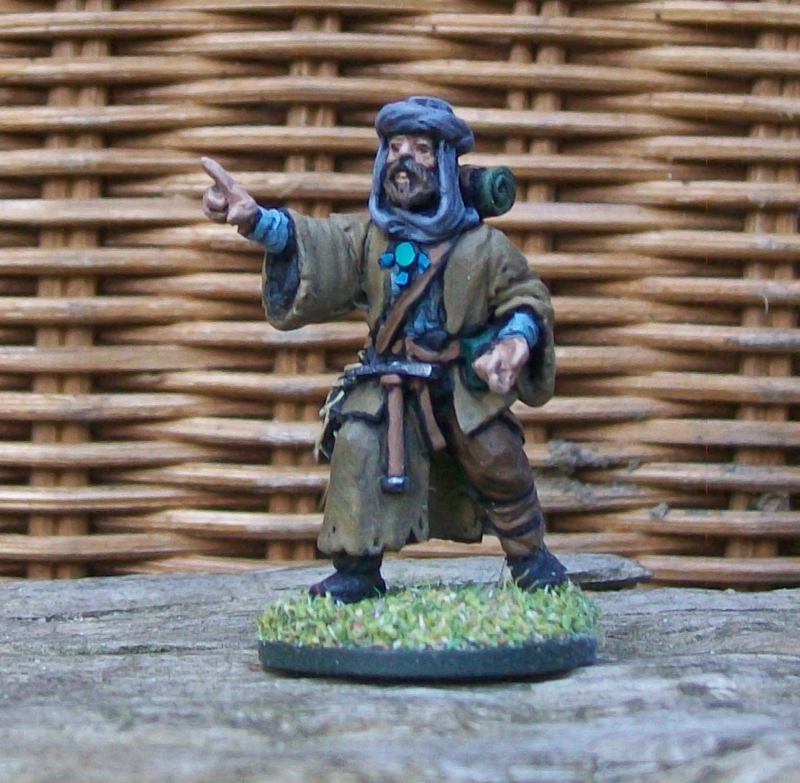 It was important to me, when I started work on Ghost Archipelago, that Wardens have a different feel and purpose than the wizards of Frostgrave. I decided early on that I would make the Wardens animists, that all of them would have some tie to nature. This fit well with the setting, as the Ghost Archipelago is such natural, alive place (as opposed to the dead, artificial city of Frostgrave). So, I invented five different branches of Warden magic, and gave each branch 6 different spells to choose from. A starting Warden chooses three spells from their own branch, and one from a different branch. 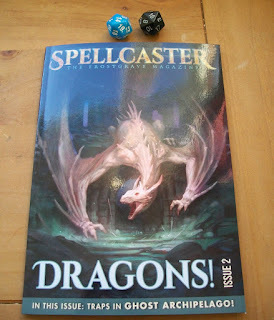 Wardens have significantly less spells that the wizards, partly because they are meant to be less powerful, but also because, with players already having to keep track of their Heritor Abilities, I didn’t want the game to get too confusing! However, the good news for Wardens is that they never take damage from failing to cast spells, also, on average, their spells have lower casting numbers. In this way, I hope, Wardens become more of the supporting pieces they are meant to be. Powerful individuals, but not as dangerous or as dominate as the Heritors. Also, I think players will be happy to hear, Wardens gain experience and levels independently, thus giving players essentially two ‘characters’ that can grow over the course of a campaign. So, what about Verith? He’s a Wind Warden, so I gave him three spells from his branch: Windblast, to push people around; True Flight, to support any archers, and Dust Devil for a little damage potential. I also gave him the Wave Warden spell: Water of Life for some potential healing when things go wrong! Following on from my last post, this is the first of ‘Big Red’s support team. 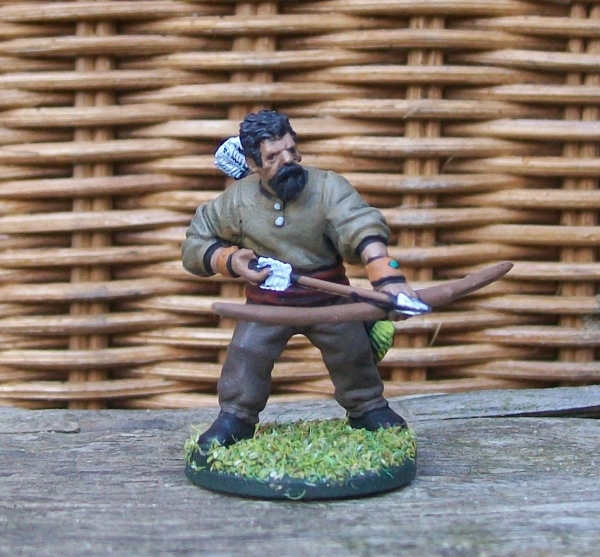 Portock is a Freebooter who carries a big axe! 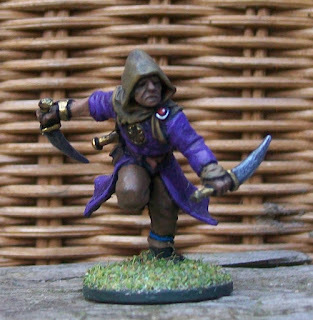 For the most part, the ‘crew’ in Ghost Archipelago are very similar to the soldiers in Frostgrave, despite having different names in most cases. There is one large difference though. Crew are now divided into two categories: standard and specialists. 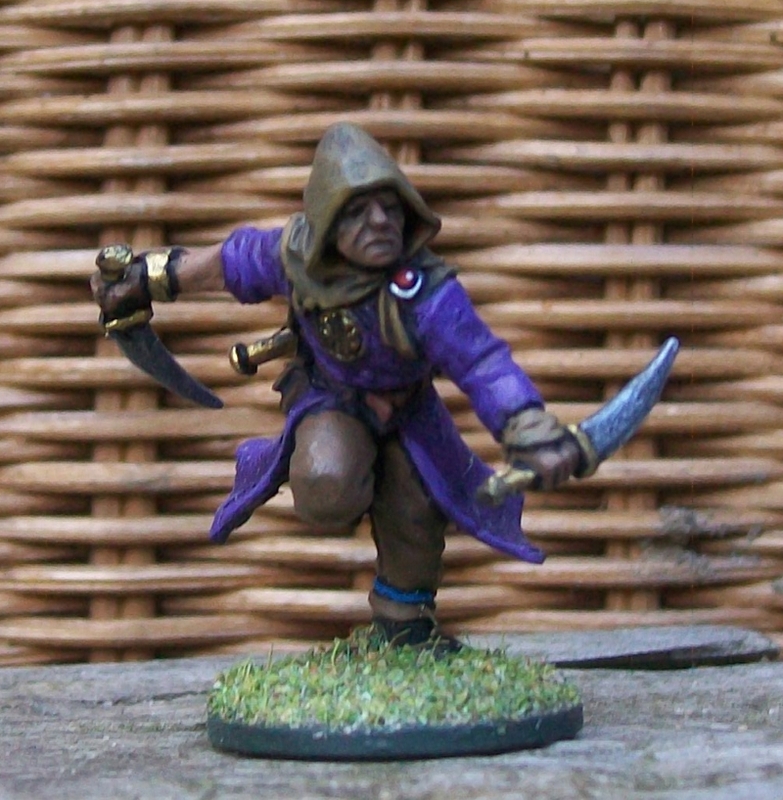 Standard crewman are basically thugs from Frostgrave except the player has a few options on how they are equipped. 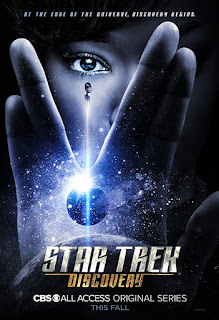 The critical thing about standard crewmen is that they are free. In this way, even if you have a terrible game in which all of your crew are killed and you recover no treasure at all, you can still go back to your ship, get some more crewmen, and still have a full complement of fighters for the next game. 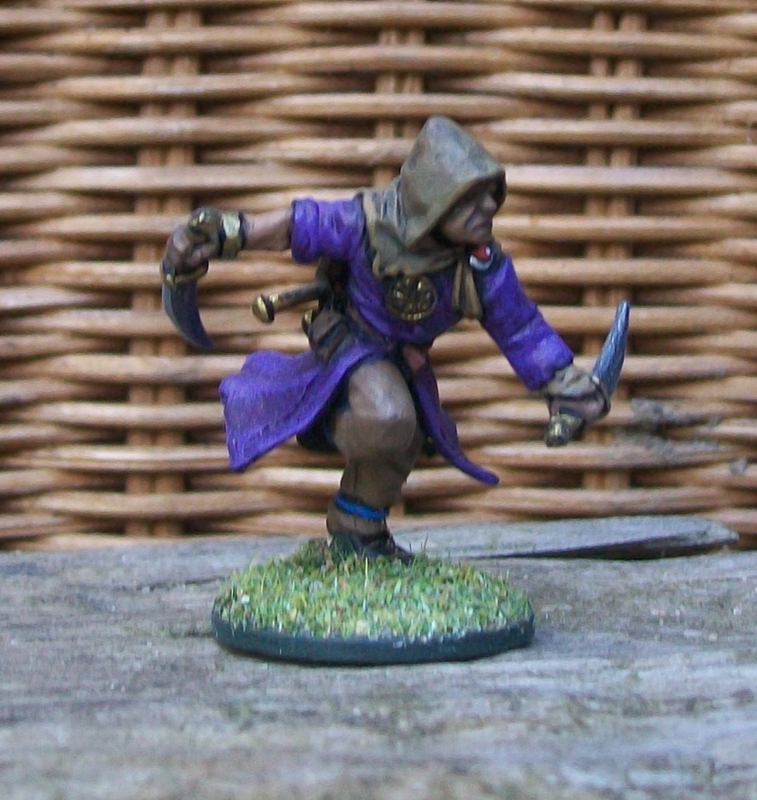 Specialists are crew that you’ve hired specifically to help you on your adventures, and tend to be warriors of various types, not sailors – such as the Freebooter here. You can only have four specialists in your warband, so you have to think pretty carefully about which ones you take. Which do you value more, long ranged firepower, or staying power? Also, specialist crewman are not so easy to replace. To hire new specialists requires a trip back to the mainland, which is an expensive proposition. In the last post, a couple of people asked about a creature list for Ghost Archipelago. 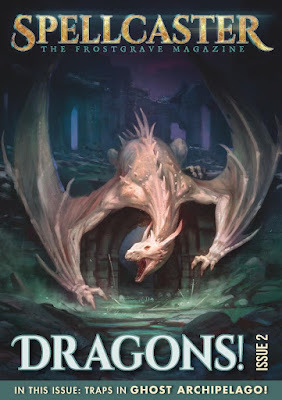 While I'm flattered that people want to get ready to play the game in advance, I don't think it would be right for me to give out a creature list before North Star and Osprey Games have put the official figures up for sale. 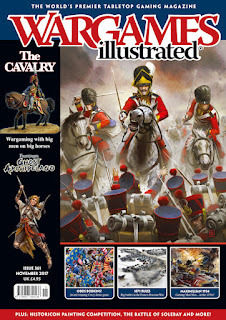 While I have, and continue, to encourage players to use whatever figures they want for the game, I think it is only right that the producers that directly support the game (and it's author) get the first chance to tempt you! More notes in the next day or two.